Day, June 21, 2009. For many years Professor of Theology and Ministry at Fuller Theological Seminary, Anderson was a theologian who never ceased to be a pastor. Whether you are a clergy person or a lay person, whatever your denomination or Christian heritage may be, Ray Anderson has many exciting, and sometimes provocative, things to say. I speak from experience as a student of Anderson’s, beginning at Fuller Seminary, but extending along many years. While reading almost any of his many books, I am always struck by both a depth of insight and an almost joyful playfulness for the ministry of theology. Theology is ministry itself, a ministry of meditating upon the gospel of the unconditional grace of God in Jesus Christ, but ministry itself is also theology; true ministry, the ministry of God, always precedes and governs theology. For over thirty years, Ray Anderson has been quietly writing a body of work that is remarkable in its ability to awaken both theology and the church to a theology that actually intersects with the ministry of the church and a view of ministry that dwells in a deep place of reflection. I regret is that I will be unable to replicate the spark of playfulness and intellectual restlessness that characterizes Anderson’s writings, lectures, and sermons. Donald Mackinnon, the noted Cambridge theologian who has received new interest in recent years, spoke of this “nervous, restless quality” even in Anderson’s doctoral dissertation (later published as Historical Transcendence and the Reality of God). Anderson’s lectures were for many years a refuge of grace for weary students who were bounced back and forth in seminary classes, from studying academic, critical disciplines in one to learning pastoral and ministry skills in another, with little integration of the two. Most of all, in the midst of personal crises, the students found in Anderson’s lectures (and pastoral counsel) grace to help in time of need (Heb 4:16). Unconditional grace is not just a doctrine for Anderson, but the way that he responds to people, even in their weaker moments. For what Anderson means by a theology of ministry is not simply a thin veneer of Bible verses justifying the typical, prosaic ministry program of a congregation. Rather, his theology of ministry is truly incarnational, the Word penetrating deeply into our flesh (Jn 1:14), the flesh of the whole person, involving spiritual, emotional, and physical turmoils. That is where Jesus Christ meets us, and continues to meet us, not in a ministry of our own creation, but in participating in his continuing ministry, God’s ministry. In recent years Anderson has found more dialogue with Christian psychologists than theologians (perhaps attesting to a fear among theologians of their own humanity?). This has born fruit in a remarkable issue of Edification: Journal of the Society for Christian Psychology, in which Anderson’s article “Toward a Holistic Psychology: Putting All the Pieces in their Proper Place” was followed by several responses by psychologists, philosophers and theologians. This kind of critical interaction, certainly not uncritical, demonstrates the stimulation that Anderson’s thought can provides for all three groups of scholars and at the same time benefits all of those involved in the ministry of Jesus Christ. For all of Anderson’s commitment to community there is a freedom in his theology to be a maverick, to be oneself and go against the grain. J. G. Hamann and Dag Hammarskjöld are two iconoclasts he likes to quote. Anderson presents an interesting portrait of the maverick theologian in the midst of community; not an easier venture, as his former colleagues and students will attest! Good theology is not just a display of erudition, as Thomas Torrance told me once. Ray Anderson was not a historical theologian, biblical scholar, or philosopher in the guise of a theologian. Unapologetically, he was a “restless” theologian in service to the church of Jesus Christ. Good theology is being faithful to Jesus Christ and demonstrating that faithfulness with the kind of “nervous, restless quality” of mind that Donald Mackinnon spoke of Anderson’s thought. But Anderson is doubling challenging in that he refuses to allow for a theology that does not partake, like the incarnation, of actual human flesh, like the incarnation; the human flesh of human dilemmas, perplexities, and ambiguity. I remember well Ray Anderson telling a class that one must always be open to a “theology of ambiguity.” How difficult was it for us conservative evangelical students to hear that! But we came to realize that the ambiguity rightly exists in our limited and fallen understandings, not in God. Anderson’s influences were many and profound, including Edward Carnell, Kierkegaard, the philosopher John Macmurray, Karl Barth, Dietrich Bonhoeffer, Thomas Torrance, James Torrance, and the interdisciplinary work of Ernest Becker, The Denial of Death. Ray Anderson was probably the first English-speaking theologian (in his dissertation published in 1975) to recognize the profound theological anthropology and ecclesiology in the work of the Greek Orthodox theologian John Zizioulas. Anderson provides an interesting case study of American evangelicalism at mid-twentieth century when some were trying to provide an intellectual alternative not only to fundamentalism but to the rationalistic theology that was presented by such early Fuller Seminary professors like Carl F. H. Henry. Anderson’s critique of Henry is very telling and insightful. Anderson’s place, and often a controversial place, in the modern history of Fuller Seminary modern American evangelicalism, is very much worthwhile for further study, when he and Geoffrey Bromiley sought to present Karl Barth’s theology to a Fuller evangelicalism often more interested promoting a Christian “worldview” or church growth techniques than to learn from Barth a radical evangelical theology and to build upon it. When one reads Anderson one will be struck with the sheer humanity of his theology. The incarnation is not just an orthodox or abstract doctrine for him. I have two “Rays” that have been very influential on my life and thought: Ray Anderson and the fantasy writer Ray Bradbury, author of Fahrenheit 451 and The Martian Chronicles. His writings have a profound humanity yet always with a sense of wonder and respect for the divine. In a way, as Ray Bradbury has brought a sense of God in the humanity of fantasy and science fiction writing, Ray Anderson has brought a sense of humanity into God in the field of theology. Anderson’s writings have that same respect for humanity that Bradbury’s do for the divine. Planting a new Evangelical Free Church congregation in Covina, California exposed Anderson to the very real experience of a young pastor. “Restless” is the word that seems to have continued to characterize Ray Anderson in his early days in pastoral ministry. During this time of living with the raw realities of a congregation and the stereotypical expectations of a “reverend,” Anderson found himself jotting down short “musings” as he would later call them, a theological notebook of the daring of faith that sought to think beyond the stereotypes of ministry and theology. Published much later as Soulprints (1996), this theology in the midst of ministry will be hashed out in the context of the increasingly alienated culture of the 1960s. The result was a ministry that sought consciously to be incarnational, less concerned with success than with human beings trapped in an alienating world. Mid-life took Anderson to Scotland for a Ph.D. in theology at the University of Edinburgh under the noted theologian Thomas F. Torrance. 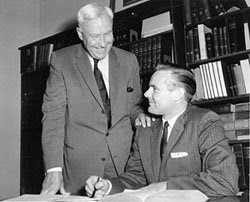 Torrance, a student of Karl Barth’s, provided for Anderson a theology that would put words to what he had become to experience in Covina, an incarnational ministry that drove one to ask new questions of God. The result was his doctoral dissertation, Historical Transcendence and the Reality of God, published in 1975. Borrowing deeply from Dietrich Bonhoeffer and John Macmurray, Anderson sought to orientate the doctrine of God in an increasingly skeptical age to a view of transcendence that is not “other-worldly,” but based on the incarnation of God in Jesus Christ. A strikingly original ecclesiology proceeded from this, Anderson’s first major theological work. After a short time teaching at Westmont College in California, Ray Anderson joined the faculty of Fuller Theological Seminary in 1976. As theological mentor for Fuller Seminary’s growing Doctor of Ministry program, Anderson assembled the massive anthropology, Theological Foundations for Ministry (1979). Not content with simply gathering a plethora of competing theologies for the student to be befuddled by, Anderson presented a coherent theology base on the Trinity and the incarnation, including generous selections from Barth, Bonhoeffer, Thomas and James Torrance, and others including the most ecclesiologically dynamic sections of Historical Transcendence and the Reality of God. Of special note is the essay by Anderson, “A Theology of Ministry,” in which he lays out the significance of ministry preceding and governing theology, not the opposite, based on an incarnational theology in which God is “on both sides” of both revelation and reconciliation. Reconciliation, like all of God’s ministry, is not to be left up to us! Such an anthology signaled to many that a new way of integrating theology and ministry was being proposed that did not simply try to find a lowest common denominator in ethical values or pastoral practice, but was based on the richness of the triune life of God revealed in Jesus Christ. This was a different kind of evangelical theology than the apologetics-driven heritage of the early Fuller Seminary, but one which was just as loyal to the ancient faith in the Trinity and the incarnation. Yet it was refreshingly free to acknowledge not just that Jesus Christ was God, but that God actually assumed human flesh, so an incarnational theology and ministry is not afraid but embraces the human, as messy as that might often be in the realities of ministry. The incarnational imperative for the humanization of the world (including the church!) drove Anderson increasingly into questions of a theological anthropology. 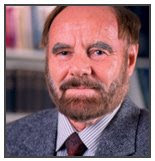 Questions of theological anthropology had begun to intrigue Anderson when he observed how little theological basis there exists with some colleagues at Westmont, whom otherwise possessed a strong, personally pious theology, yet seemed often to offer little integration with their academic disciplines. His pious colleagues seemed to be operating with more of a philosophical, non-theological anthropology than one that was rooted in the incarnation. The fruit of Anderson’s thinking came in 1982 with the publication of On Being Human: Essays in Theological Anthropology. I don’t think that Karl Barth’s profound writings on the doctrine of humanity had ever been mined so thoroughly in light of pastoral and ministry practice. Yet Anderson remained certainly his own man. As a seminarian at the time, I remember vividly the excitement of Anderson’s terse yet provocative prose, bursting with genuine theological and ministerial potential. Not easy to digest for some, but for many, Anderson’s continuing “nervous, restless quality” was the stimulation to believe in the continued healing power of a trinitarian-incarnational theology. Many a Fuller Seminary student can attest to practically stumbling into a Ray Anderson class week upon week, beaten up by life’s events, desperately seeking the grace of God … and finding it in Ray’s provocative and faithful witness to Jesus Christ. On Being Human only served to further ignite Anderson’s creative theological juices, particularly in the implications of a theological anthropology. Anderson’s theological anthropology is profoundly relational, including male and female relationships and the family, so it was natural that On Being Family: A Social Theology of the Family, written with the family sociologist Dennis B. Guernsey, and the fruit of their team-taught course at Fuller, “Theology and Ecology of the Family,” was published in 1984. The provocative and pastoral thinking on death and dying in On Being Human led to Theology, Death and Dying in 1982. Anderson was fond of mischievously suggesting that he wanted the book to be entitled, On Being Dead, in order to harmonize with On Being Human and On Being Family, and perhaps include ethics and be called, On Being Good and Dead! Anderson integrative interests continued to be broad and sweeping with the volume on leadership, Minding God’s Business, in 1982 and one on counseling, Christians Who Counsel, in 1990. No shoddy thinking here, Anderson demonstrated his theological bravery is taking on such “nuts and bolts” issues of ministry. In 1991, Anderson wrote his first “popular” book, but one that is truly profound in its thinking: The Gospel According to Judas: Is There a Limit to God’s Forgiveness? Featuring an imaginary conversation between Jesus and Judas after Judas’s death, this book has deeply affected and challenged many in how shallow our view of grace and forgiveness really is. Still, many have been offended, even with the later version, Judas and Jesus: Amazing Grace for the Wounded Soul (2005). These little books still continue to have a great ministry, including, Anderson tells, even with a convicted murderer serving life in prison. Concern for the individual desperately needing the grace of God is evident many of Anderson’s later books such as, Don’t Give Up On Me – I’m Not Finished Yet! Putting the Finishing Touches on the Person You Want to Be (1994), its more technical cousin, Self-Care: A Theology of Personal Empowerment and Spiritual Healing, Living the Spiritually Balanced Life: Acquiring the Virtues You Admire (1998), Everything That Make Me Happy I Learned When I Grew Up (1995), Unspoken Wisdom: Truths My Father Taught Me (1995), Exploration Into God: Sermonic Meditations on the Book of Ecclesiastes (2006), and The Seasons of Hope: Empowering Faith Through the Practice of Hope (2008). The church, the corporate, communal and relational nature of the Christian life and the presence of Christ today, however, was never far from Anderson’s thought and pen. Ministry on the Fireline: A Practical Theology for an Empowered Church (1993) challenged the need for evangelical theology which emphasizes a “Word” theology to embrace as well a “Spirit” or “Pentecostal” theology of the presence of the Holy Spirit in mission. Such concerns continued with what the summary of decades of Ray Anderson’s thinking on a theology of ministry based on a trinitarian-incarnational theology: The Soul of Ministry: Forming Leaders for God’s People (1997). Wide-ranging concerns from homosexuality to “The Humanity of God in the Soul of the City” are developed in light of a trinitarian model of practical theology in The Shape of Practical Theology: Empowering Ministry with Theological Praxis. Anderson’s disgust in the lack of practical ecclesiology in much of modern systematic theology reflects his desire to leave “systematic theology” behind for the sake of “practical theology.” This direction from systematic to practical theology is spelled out more in detail theologically in The Soul of God: A Theological Memoir (2004). Anderson continued to provoke his evangelical roots (and colleagues!) with Dancing with Wolves While Feeding the Sheep: The Musings of a Maverick Theologian (2001) with such chapters as, “Was Jesus an Evangelical?”(the “wolves” are his faculty colleagues!). One of Anderson’s most challenging proposals is his practical theology for secular caregivers found in Spiritual Caregiving as Secular Sacrament: A Practical Theology for Professional Caregivers (2003).There are many treasures of ideas in all of these books, ideas that have much appreciated by colleagues and students alike through the years. Much critical thinking stimulated by Ray Anderson’s theology can be found in the two Festschriften edited in honor of Ray: Incarnational Ministry: The Presence of Christ in Church, Society, and Family: Essays in Honor of Ray S. Anderson (eds. Christian D. Kettler and Todd H. Speidell) (1990), including essays by Thomas Torrance, James Torrance, Geoffrey Bromiley, Colin Gunton, Alan Lewis, and Lewis Smedes (with a telling introduction by the president of Fuller Seminary, David Allan Hubbard and a bibliography through 1990) and On Being Christian … and Human: Essays in Celebration of Ray S. Anderson (ed. Todd H. Speidell) (2002), which includes contributions by many of Ray’s former students, including LeRon Shults and Willie Jennings and an essay on “Community in the Life and Theology of Ray Anderson” by Daniel Price (along with a bibliography through 2002). Also included are the case studies used by Anderson for many years in his theology sequence of courses. Karl Barth, in the lectures he gave during his tour of the United States late in his life, remarks that what he desires for Americans is to be freed for a “theology of freedom.” In a way, I think Ray Anderson is the purest example of an answer to Barth’s desire for America: A theologian who has always been first of all a pastor of a concrete, local church, never deserting the church for the rarified air of seclusion in the academy, never deserting particular, actual people for abstract values or virtues. For most of Anderson’s over twenty years of seminary teaching he was preaching every week at the “high of the low churches,” Harbour Fellowship. Anderson builds upon Barth’s revolution but is distinctly a theologian for the church in the U.S. today. Much is made today of a need for a theology of “globalization” and “postmodernism” and certainly the church and the gospel are for the world. But Anderson’s roots in a South Dakota farm and an evangelical parish become real in a theology that takes very seriously actual human beings and concrete situations in the church, not to be swallowed up by what can become abstract ideals and causes, from orthodoxy to social justice. I have just finished a work that is to be a little introduction to Anderson’s work entitled, Reading Ray S. Anderson: Theology as Ministry, Ministry as Theology. I am pleased that Ray was able to read the preface and seemed happy (and embarrassed!) by the book. “Theology as Ministry” particularly relates to the doctrines of God and theological anthropology. “Ministry as Theology” suggests the profound integration of a theology praxis to the church in its ministry and mission. But the dialectical aspect of “Theology as Ministry, Ministry as Theology” should not be forgotten. There is one ministry of God, Anderson contends, the ministry of Jesus Christ. Theology only seeks to serve that ministry. Anderson has been well known for his uses of cases studies in exploring the implications of theology in ministry. (The actual cases he uses for examinations in his courses are found in the second Festschrift, On Being Christian … and Human, edited by Todd Speidell). So at the end of each chapter I have included a case that which “fleshes out” the implications of that chapter for ministry. I think you’ll find that the writings of Ray Anderson will be an incredible stimulation to your participation in the ministry of Jesus Christ.